So, we’ve got a plant named after a plant named because, long ago, it was thought to be helpful in fighting infections during childbirth. 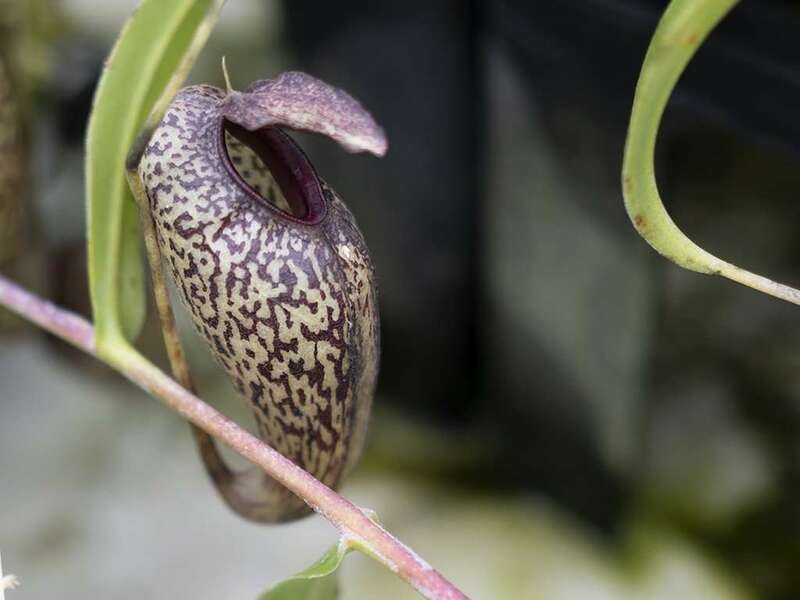 Unfortunately, Aristolochia is actually toxic and carcinogenic, so don’t ingest, inject, absorb, or inhale the thing unless you’re looking for kidney failure, or worse. Anyway, enough about the gloomy (but beautiful) Aristolochia! 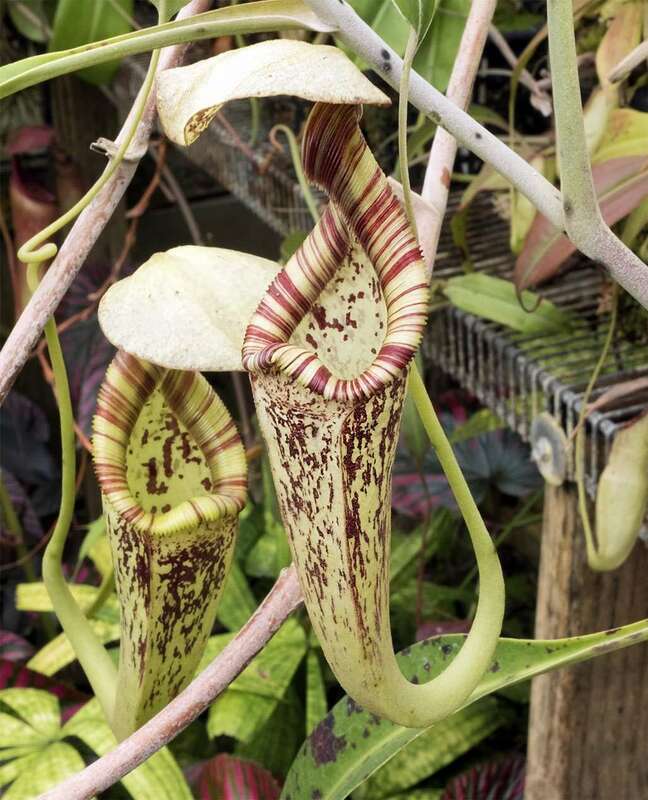 Nepenthes aristolochioides is super cool and totally not carcinogenic (as far as we’re aware)! 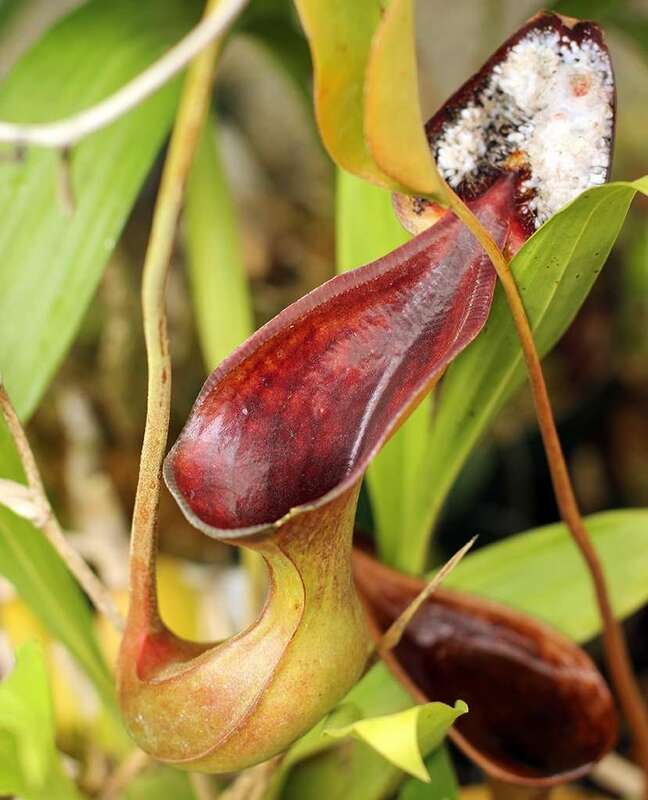 It’s a highland Nepenthes that had its holotype collected August 5 of 1956 by Willem Meijer atop Mt. Tujuh in Jambi. 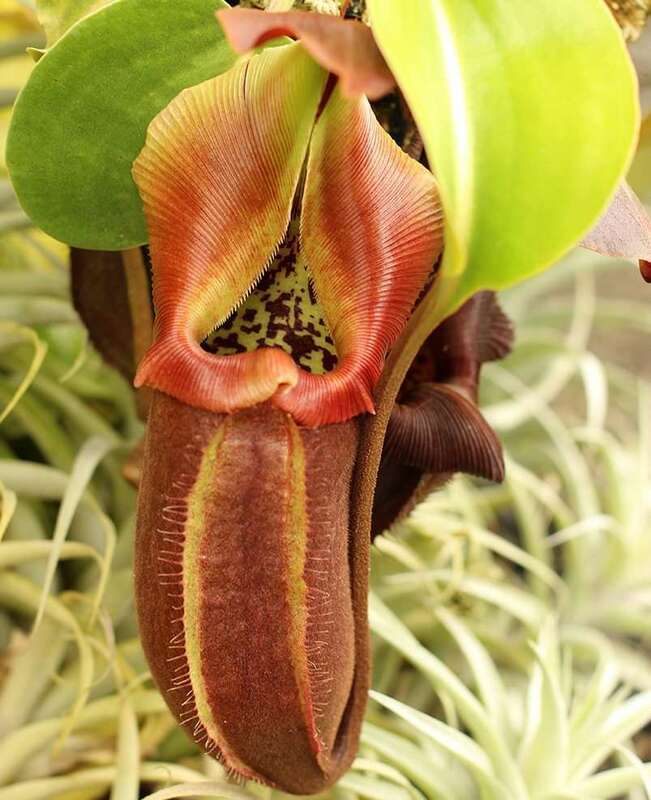 That was all folks heard about the pitcher plant for about 32 years, until 1988 when the botanist Joachim Nerz rediscovered the holotype specimen sitting in storage at the herbarium of Leiden University. 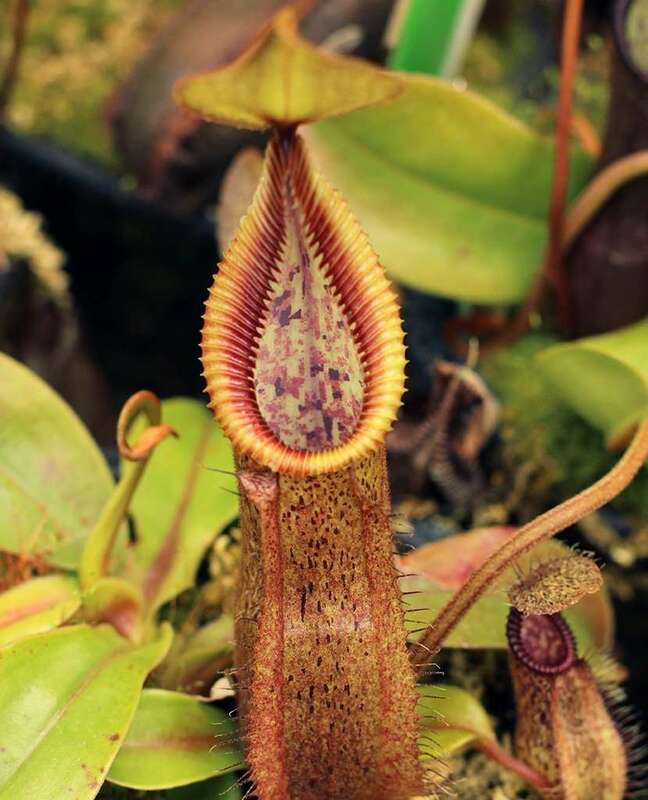 There was an air of mystery around the specimen as folks questioned the unique positioning of pitcher mouth and peristome as, perhaps, a mishap of the preservation process. Joachim Nerz and Katrin Hinderhofer headed out to Sumatra in 1996 where they rediscovered the wild plant and confirmed its quirky mouth. Field science for the win! 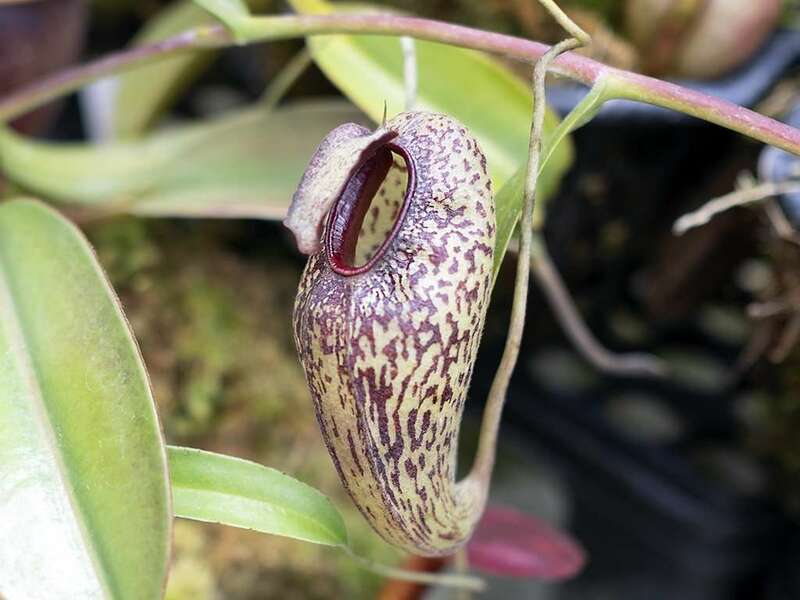 Of course, it wasn’t until May 1997 in an issue of the botanical journal Blumea that Martin Cheek and Matthew Jebb actually, finally, officially described Nepenthes artisolochioides in a monography titled “A skeletal revision of Nepenthes (Nepenthaceae).” Nerz followed this up with a description in the Carnivorous Plant Newsletter in 1998. 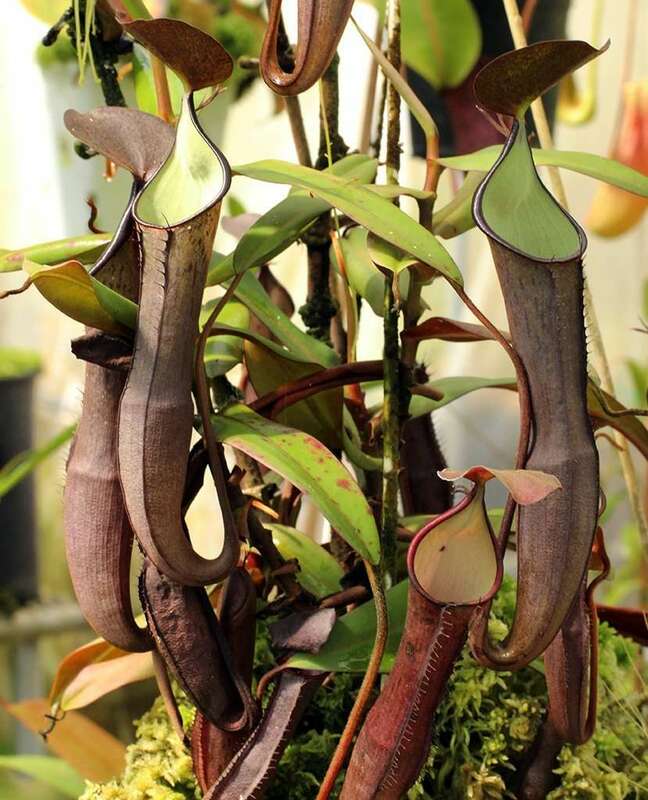 Nepenthes aristolochioides upper pitchers are the defining characteristic of this species. Some would call the pitchers “globose,” others “hunchbacked.” To me, they look like party balloons that have sprung an air leak and are frozen in time mid-deflation. 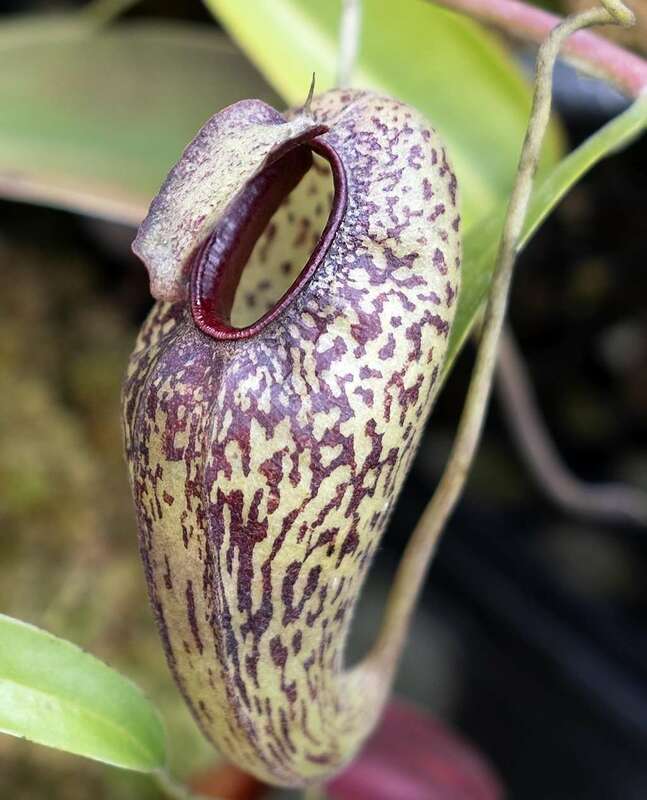 Any way you describe them, N. artisolochioides pitchers are domed with a mouth that faces outwards rather than upwards. The peristome is almost like a little diving board, aiming horizontally into the pitcher, rather than down into the pitcher. I know, it’s all super technical and sciency, but try to keep up, folks. It is hypothesized to be a lobster-trap style of trap because the back of the pitcher (opposite the mouth) is 30% thinner than other portions of the pitcher surface, and somewhat translucent. 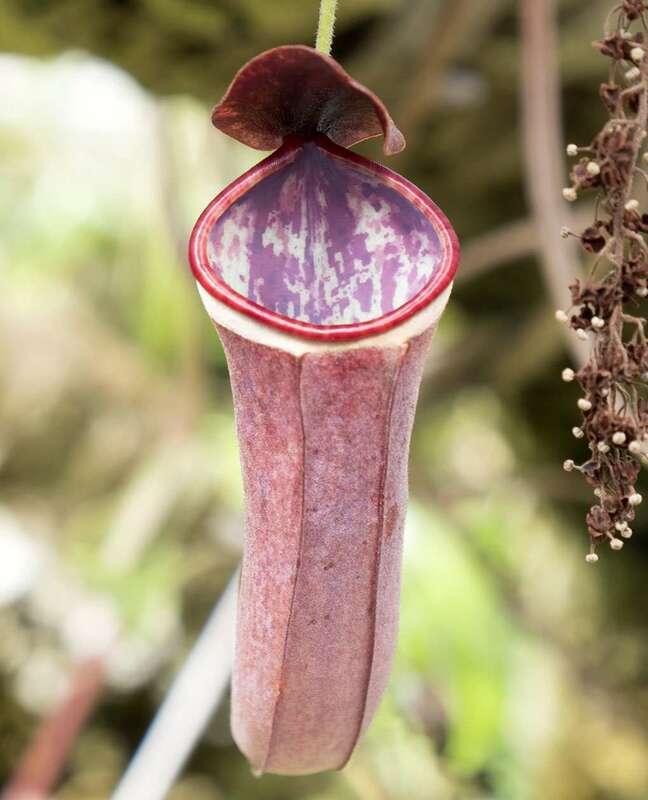 This allows light to pass into the pitcher, providing the appearance of an escape rout for insects entering via the mouth. 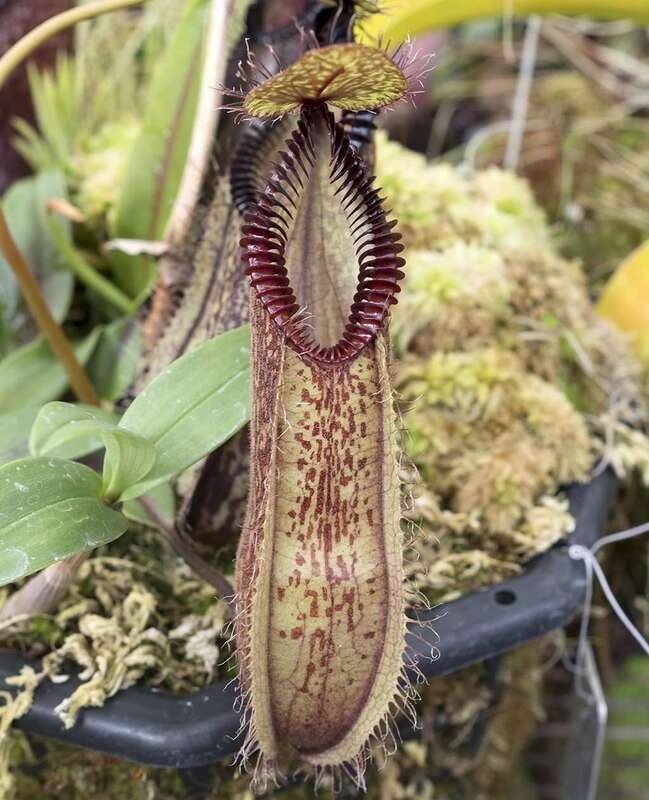 Think of Darlingtonia Californica (Cobra lily) or Sarracenia minor pitchers for analogous trap types in other carnivorous plants. 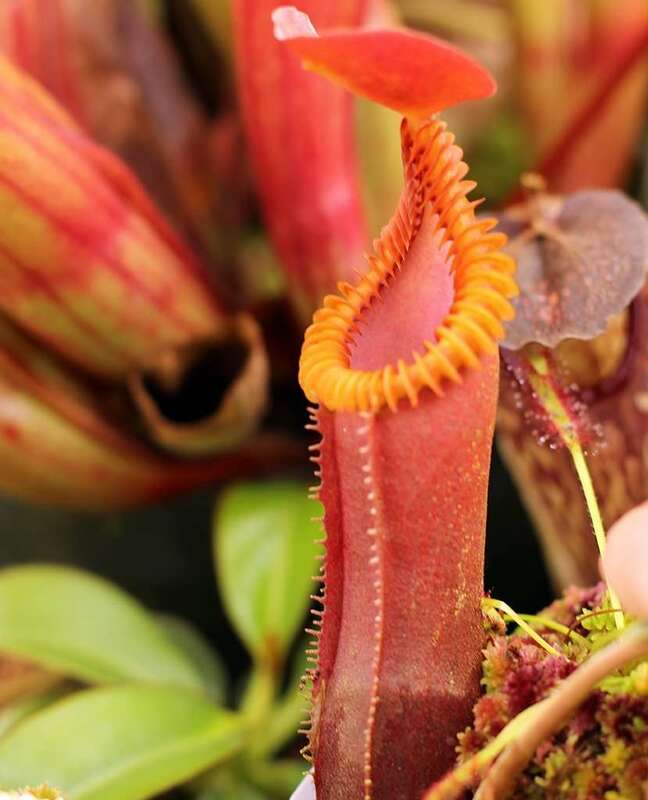 The peristome remains attached to the pitcher surface at all edges, meaning that there is no “neck” on this Nepenthes, and that the lid emerges directly from the pitcher body. There is a single spur off of the back of the lid, at the upper apex of the peristome. 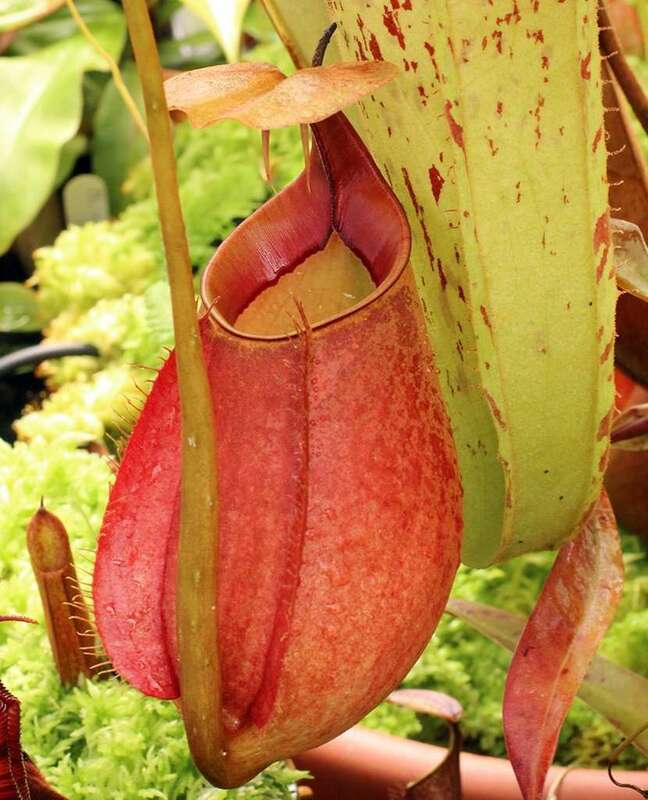 Pitchers are greenish-yellow with a burgundy speckling. 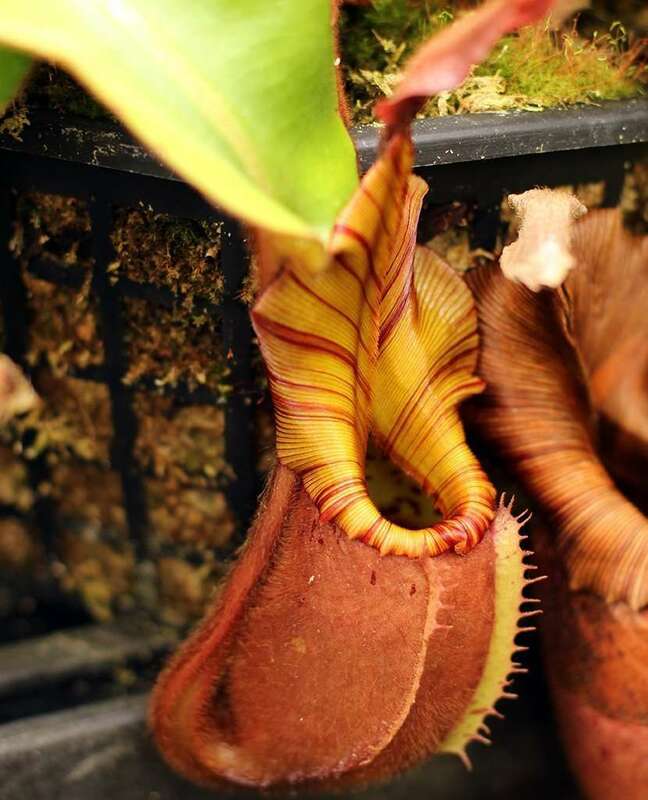 There is no waxy, or slippery zone inside pitchers, but there is thick, syrupy pitcher liquid that acts as a flypaper trap. 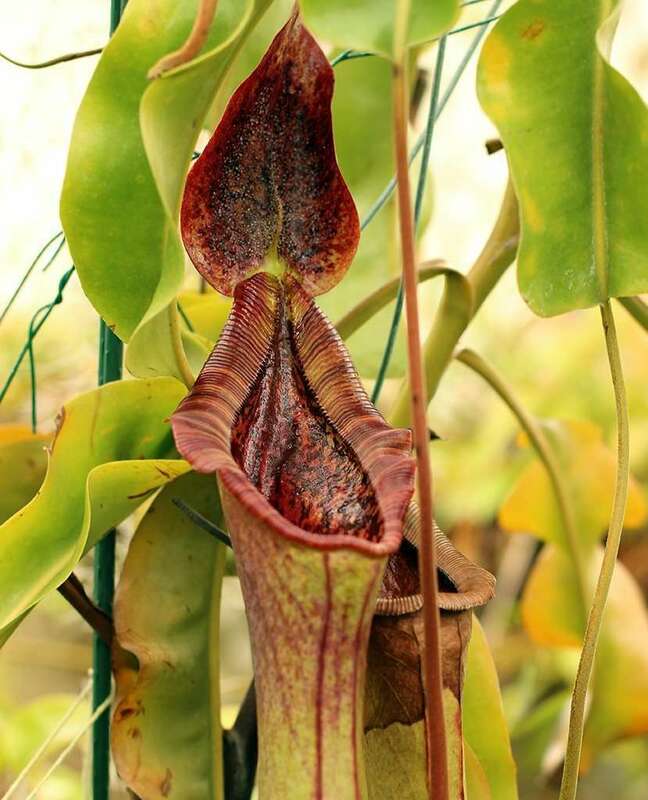 Nepenthes inermis has a similar trapping mechanism that literally glues prey to inner pitcher surfaces. 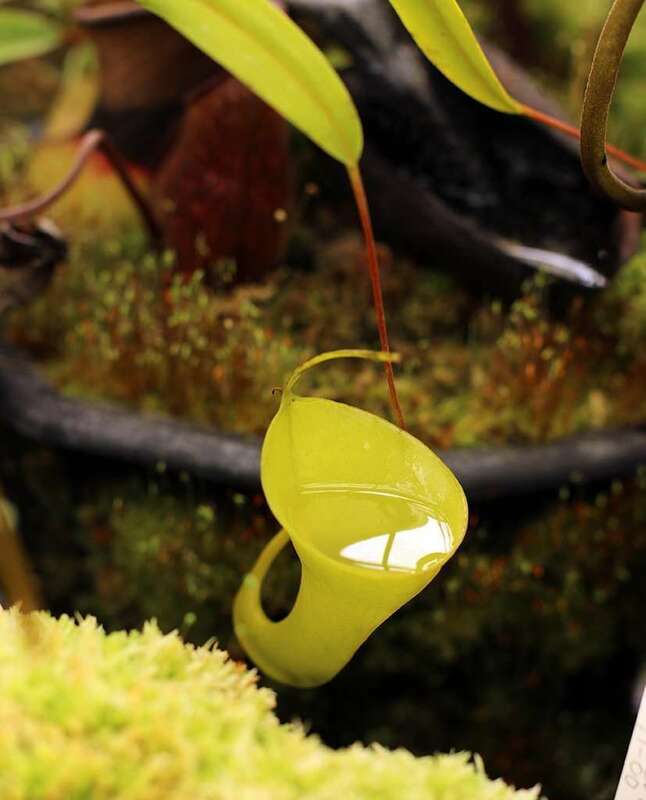 It’s worth noting that lower pitchers on Nepenthes aritolochioides basal shoots are frequently submerged in the soil or moss surrounding them, and do use pitfall trapping mechanisms to snag crawling prey. 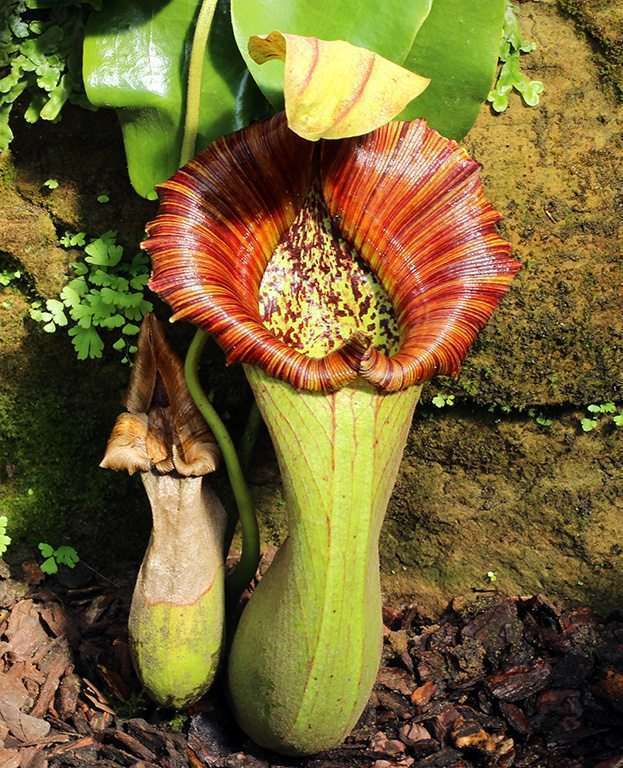 However, the pitcher plant only produces a small rosette with a few lower pitchers before it begins to climb and branch. 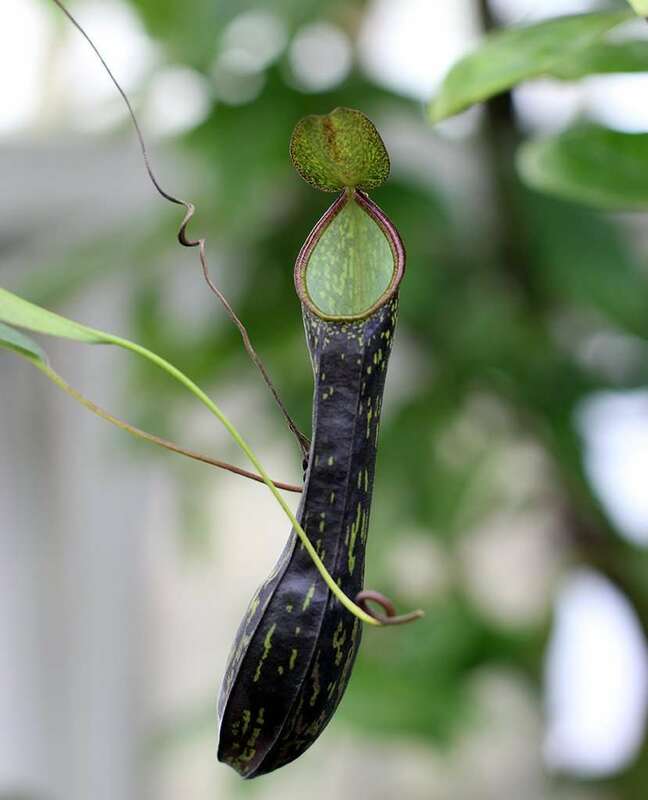 Like other climbing Nepenthes, it frequently uses surrounding bushes and trees as support structures. 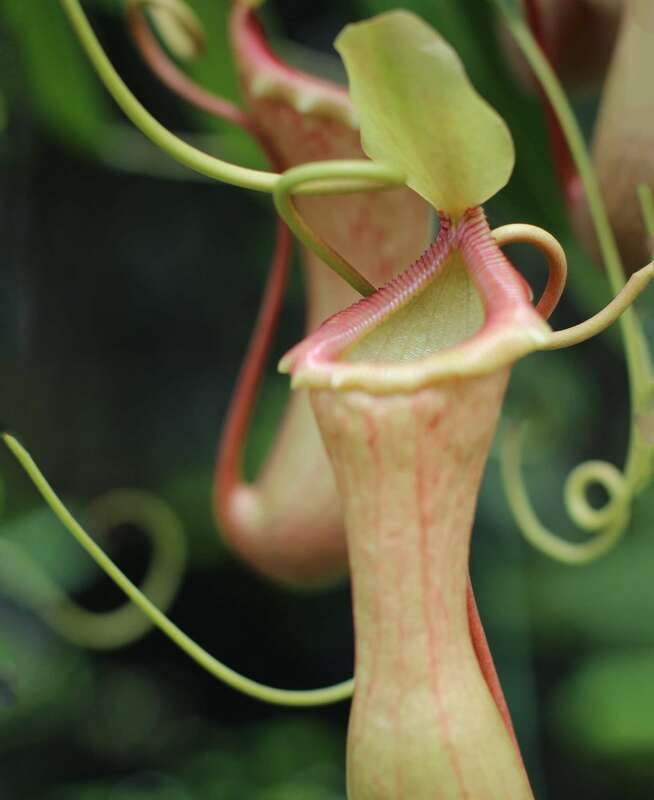 Leaves are slender, and terminate in a coiling tendril that can grasp surrounding object to support the plant’s climbing habit. Stems reach 26 feet (8 meters) in length, along which new rosettes will sprout, providing multiple growth points from where cuttings can be taken. 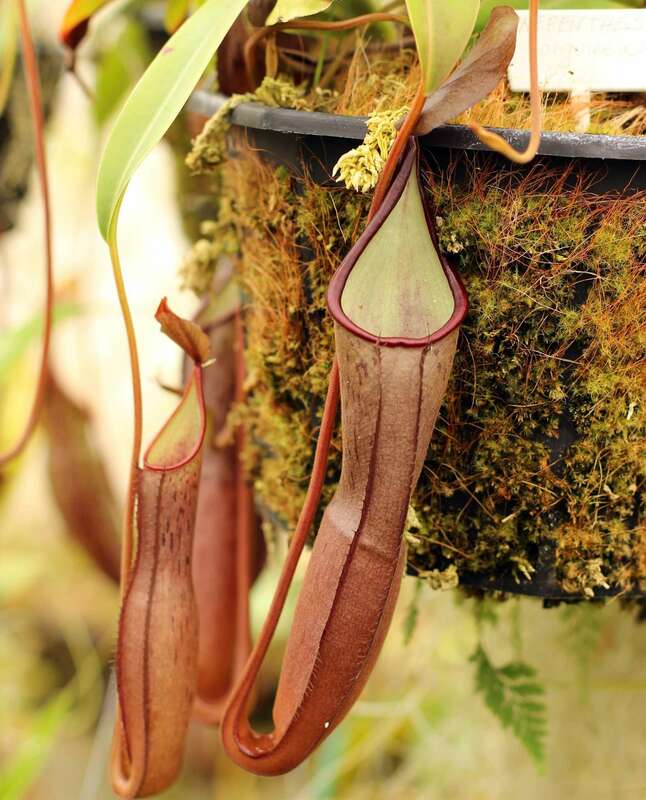 Unfortunately, for all of its neat trapping mechanisms and gobs of personality, Nepenthes aristolochioides has not been able to survive the onslaught of humans. It is critically endangered as of IUCN’s 2013 Red List with only 60 documented mature plants in the wild. 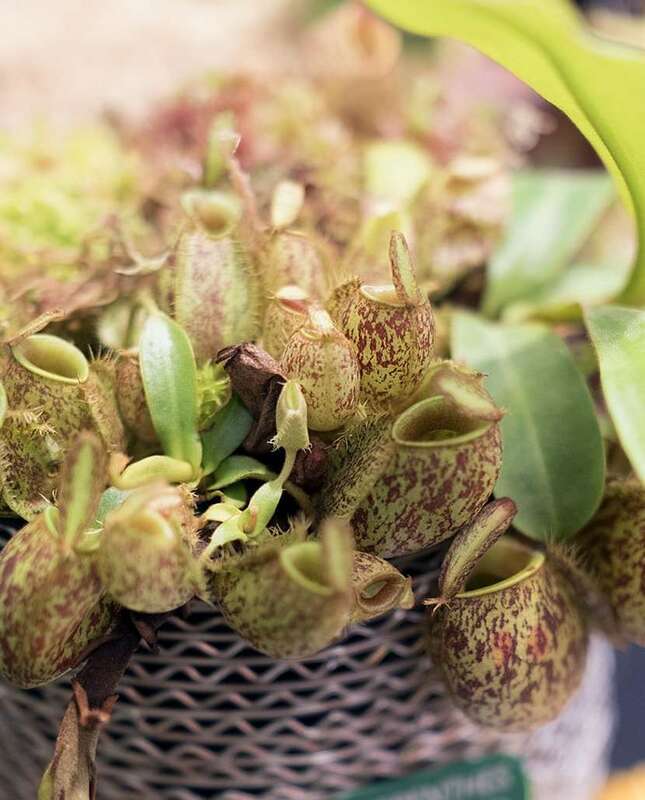 Please, please, please only purchase this plant from reputable nurseries who have propagated the plant in captivity using traditional or tissue culture methods. 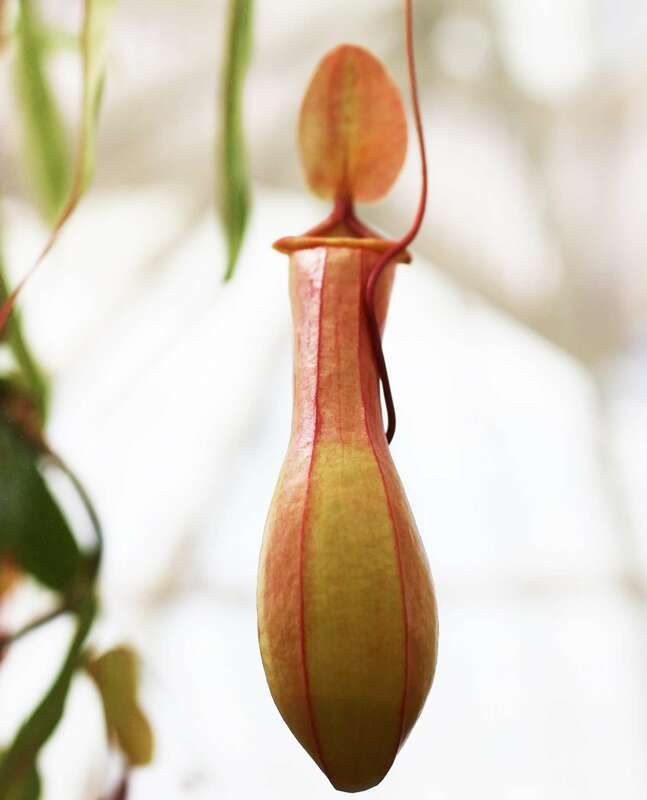 If in doubt, or if the price tag is too much, remember that you can always snag a Nepenthes aristolochioides hybrid. 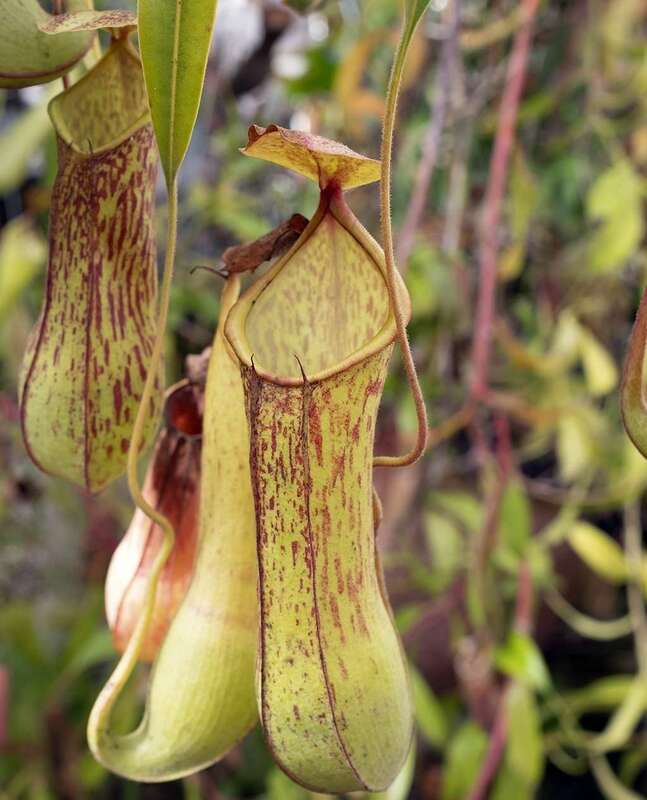 They tend to pass on their unique pitcher shape and hybrids can be both less expensive and easier to grow!